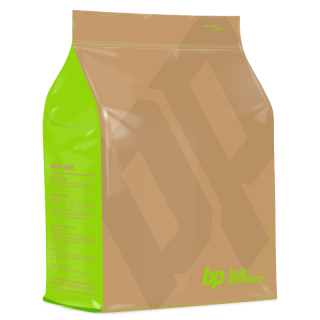 100% Certified Organic Fermented Sunflower Seed Protein Powder. Our 100% organic sunflower seed protein powder is a healthy way to add plant protein to your daily diet. Made from raw, fermented sunflower seeds, it gives you all the nutritional benefits of sunflower seeds in powdered form. Use it as a protein shake, add it to smoothies, or use it as a super healthy protein powder for your baking recipes. Our sunflower seed protein powder retains the original mild, nutty taste of the sunflower seeds. You can enjoy it raw, add it to mixes, or use your own flavourings. Buy organic sunflower seed protein powder online. Sunflower seeds have been called one of the healthiest foods in the world. Our top quality cheap priced Sunflower Seed Protein Powder uses raw, fermented seeds gently ground to a fine powder. Nothing is added, and no chemicals or artificial flavourings are used. Sunflower seed protein powder is a rich source of Vitamin E, Vitamin B1, B3, and B6, copper, selenium, magnesium and other essential vitamins and minerals. Vitamin E is a key source of fat-soluble antioxidants. These nutritients may help reduce “bad” LDL cholesterol, boost the healthy of your nerves and blood vessels, and may even help to lower blood pressure. Buy Sunflower Seed Protein Powder as a great vegan protein option for daily use. It can be mixed with water or dairy-free milk to make a protein shake. But the options don’t end there. This versatile, cheap sunflower seed protein powder can be added to smoothies, used in baking recipes, or as a replacement for flour. Per 100g, sunflower seed protein powder has 67.2g protein. Each recommended 20g serve gives you 88 calories, 13.4g protein, 1.4g carbohydrates, and 2.3g healthy plant fats, plus 1.9g dietary fibre. Mix one scoop Sunflower Seed Protein Powder with cold water or your favourite dairy-free milk alternative to make a vegan protein shake. You can use it unflavoured or add your own flavouring with raw cocoa or our Stevia drops. Why not try it in fruit smoothies, as a snack bar ingredient, in your healthy baking recipes, or in savoury recipes. It makes a great thickener or replacement for flour.